Vince Cable announces details for an industry-led Taskforce to help diversify business finance. 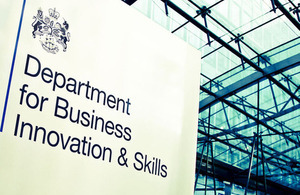 The Taskforce will investigate the challenges facing businesses in diversifying their finance. It will be led by Tim Breedon, Legal and General chief executive and current chairman of the Association of British Insurers. He will be supported by a panel of experts drawn from the business and finance community. “As banking reforms progress, it is vital for the UK economy that the flow of credit to businesses is maintained. The focus will be on debt and credit products, looking at a range of finance choices, old and new, from corporate bonds to ‘crowd-funding’. They will work with businesses, lenders, investors and providers of alternative finance to examine structural and behavioural barriers to raising non-bank finance. It will set out what steps are needed to ensure businesses can access a wider range of alternative finance sources. Read more about the BIS Finance Fitness campaign, helping businesses access the finance they need to grow. “Businesses across the UK are still in many cases unhappy with the way they have been treated by banks. “We have secured a rise in new lending from the biggest banks this year and credit easing is designed to provide another immediate boost. But I want to see as much competition in the market as possible and for businesses to have access to a wide range of finance sources. The Taskforce was announced as part of the credit easing package in the Autumn Statement. It will report to Government ahead of the 2012 Budget statement. A package of credit easing measures, including a National Loan Guarantee Scheme and Business Finance Partnership to ease the provision of credit through bank and non-bank channels. Extension of the Enterprise Finance Guarantee from January 2012 to include businesses with up to £44m annual turnover, and the accreditation of new lenders. Working with the British Bankers’ Association’s Business Finance Taskforce to improve the lending environment for businesses.